In 2003, Peter Senge, also tied to MIT’s Sloan School of Management just like Alex Pentland from the last post, wrote an article “Creating Desired Futures in a Global Economy” based on remarks he delivered at his Society of Organizational Learning’s first Global Forum. It was held in Helsinki, Finland. 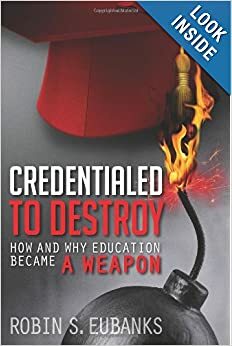 Like John Dewey’s purposes for education, Peter Senge’s purposes or Alex Pentland’s or those who push practices unaware of their background, the purposes still attach to the desired education practices. No matter what or where. No matter how pure the heart may be or how noble the personal intentions. The purposes need to be a part of every discussion of education reform, and no degree from any institution should enable anyone to impose these practices with their undisputed collectivist intention in a country that intends to remain free. Otherwise we have precisely what seems to be occurring. Education being used to mount a nonconsensual political coup at the level of the human mind. In that article Senge quoted a physicist David Bohm, who in 1980 expressed the sentiment that “the most important thing going forward is to break the boundaries between people so we can operate as a single intelligence. [J.S., another physicist] Bell’s theorem implies that this is the natural state of the human world, separation without separateness. The task is to find ways to break these boundaries, so we can be in our natural state.” Senge apparently agrees with Bohm and gave a similar quote from Einstein. He also waxes on about the Global Consciousness Project at Princeton (interestingly, that’s the same noosphere project I drew attention to in the book). If this were simply a matter of personal beliefs that would be one thing, but when these beliefs drive education policy no one should lose the right to avoid declared manipulations of minds and feelings, values or complete personality, just because the person pushing these ideas got a certain kind of degree or works at a school or district or university or government agency or has a lucrative consulting contract. If the nature of the education policy or practice is to foster that Marxist change in the student and the world to make history that we encountered in the last post, then the people pushing these policies are Marxists. Whether they admit it or not and whether they are aware or not of the ancestry of what they are pushing. I don’t know about what you feel when reading the word Marxist, but when I have to type it feels like I am insulting someone. Like telling them they have bad breath or must turn sideways to make it through a door. For many of the people developing and pushing these education ideas though, it’s a term of pride. And when it comes to pushing Vygotsky’s theories or those of Piotr Galperin, who we are going to talk about today, it is not merely that they personally had Marxist sentiments or lived in a country under its sway. Using education to create “forward-looking transformative practices that are needed to enact history in the present” is the entire purpose of their theories and instructional practices. If the actual implementation of the Common Core in the US and comparable education reforms elsewhere are grounded in Vygotsky (usually admittedly if you know where to look) and Galperin (by the function of the required practices and how closely they align with his theories), then the purpose of the education reforms is every bit as much of a Marxist transformation as anything that happened in Russia in 1917 or Cuba in 1959. Nobody is goose stepping or shooting or fleeing abroad this time, but that does not change the aim. Nor does it change admissions that these theories and practices are “ideology-driven” to foster a different kind of future world. How you ask? You provide a conceptual understanding from the beginning that encompasses the point of instruction (maybe true, but what a student is to believe regardless) and what types of physical phenomena it applies to (supposedly) and the (mostly invisible) relationships among those phenomena that physically exist in the real world. So real physical things encountered in daily life by a student or adult evoke “a chain of images, associations, and concepts” in the mind that is designed to pop up like a reflex response. Let’s tap that knee says the doctor. Now if whoever created the textbook or software or video wants actual knowledge, you could actually use Galperin’s “technology of instruction” to accurately build up a fairly accurate understanding of reality. Such programmed instruction is not inherently bad, but there’s no real safety valve to protect against manipulative creators of virtual reality gaming or software or any other means of instruction from pushing concepts that are not true or do not apply. Nor is there any means of ensuring that the taught relationships among things accurately reflects real, verifiable, connections. Like Senge’s systems thinking, the instruction may be about hoped for connections transformation advocates want students to believe exist. Because the manipulative potential of Galperin’s ‘technology of instruction,’ as his research demonstrated, stems from the fact that it orients future behavior in predictable ways. In other words, systemic-theoretical instruction has tremendous potential to anyone wanting to change reality and guide perception and govern individual behavior. All without saying so. Well, at least not at the typical PTA meeting. Now how is this different from that theory you learned in science class or as an interpretation in history? Glad you asked. In traditional education, those theories come from known facts. Remember though we are in the age when facts are being rejected as boring, or too print intensive, or unnecessary in a world of search engines. “In fact, Galperin’s teaching strategies can be used to reduce if not virtually eliminate the gap between declarative and procedural knowledge. Namely, in his stepwise teaching model, each action that students master can be comprehended conceptually because it is introduced, from the beginning, in its functional relation to a broader, meaningful task to be learned. Highly useful theory of education, instruction, and knowledge to anyone with a transformation agenda, isn’t it? We started with Peter Senge, let’s close with a statement from the same paper since it applies to so much of the stated rationales for needing these so-called 21st century education reforms. Few education theories then would be more useful than one that orients future behavior in predictable ways. Now that we know that there is a deliberate global coordination to redesign the very nature of school curricula, I thought it would be helpful to understand what these various entities and institutions believe constitutes ‘knowledge’ in the 21st century. After all creating a ‘Knowledge Society’ has been the UN’s euphemism for their intended economic, social, and political transformation since at least 2005. (Explained in the conclusion of the book so I am merely adding now to what is there.) In 2013 UNESCO created a report called Renewing the Knowledge Societies Vision for Peace and Sustainable Development by Professors Robin Mansell and Gaetan Tremblay. We will be using the definitions usefully laid out in that report. We might be tempted to equate knowledge with facts, but that would be an erroneous translation of what is to be meant by the word now. “Information and knowledge are not the same because knowledge requires interpretation by human beings.” Now if there was a Cliff Notes Guide to all these plans of transformation, it would now say in bold print that phrases like “quality education,” “teaching and learning” that we have now retranslated into the original obuchenie from the psych theories, and “competency” among others are ALL about deliberately guiding that likely interpretation. Why? This editorial from a UK paper a few days ago provides the answer. http://www.theguardian.com/sustainable-business/behavioural-insights/2014/feb/14/seven-dimensions-action-climate-change . It wants not a set of disparate facts, but a “more energising set of associations” that create a “political consciousness” that will then act predictably in response to raised issues. How? Because each person will “connect with the deep roots of the problem.” Deep Learning in other words. * Logocentric, narrative ways of thinking is losing its dominance, getting supplemented and partly replaced by ‘clip’ mentality characterized by a lower degree of logical connectivity, criticality and consistency. Instead, of Run as Fast as We Can away from such pernicious personal consequences, we get open embrace and advocacy. Apparently the loss of reason and an ability to think well is useful to the planners and funders (like the foundations financing so much of this) of these knowledge societies. Maybe it’s because such Manipulated Minds are thought to be useful for the hoped for sustainable development. After all one of the Earth Charter International Recommendations Outcome Documents from 2012 openly declared that the Just Transition hoped for would require “a shared vision of ethical and spiritual values that inspires and guides cooperative action for change. Shared values awaken a sense of common purpose and build community spirit.” Reading manipulative language like that from people who are lying to us about what they are really up to always makes me want to chuckle with the irony of it all. Won’t work, never has. The only question is how much destruction of individual minds and personalities will continue to occur before enough people begin to grasp the true causes. With this kind of deliberate mind arson I suppose the hope is to keep an electoral majority mindless and manipulated with these politically useful values. Well, values is not all we get along with the taxpayer bill for all these machinations. We are also to get Competencies says the 2013 report to “empower people to make changes in their lives.” How thrilling. And you wonder why I developed the metaphor of the Invisible Serf’s Collar to describe what education is being used to do. The UN hoped-to-be Overlords and their agents like politicians and profs and accreditors and school district supers all believe we also need “information and media literacies.” These “need to encompass conceptual competencies such as critical thinking, innovative approaches to problem solving; practical competencies for navigating in media and information environments; and competencies such as social networking, digital citizenship and cross-cultural interaction skills.” No wonder one of the leading advocates for this global ed vision, Marc Tucker, used the metaphor “On the Shoulders of Giants” to obscure that there will be no such further building on or transmitting the great cultural knowledge developed over centuries. Again the Sakhalin participants also mentioned that it was “against this background [the deficits ICT and the Internet are actually promoting quoted above] that the promotion of competencies (skills, knowledge, and attitudes), united by the term ‘media and information literacy’ (MIL) gains importance. MIL ensures responsible safe and critical use of networks for free access, production and exchange of information necessary for living and receiving quality education, as well as for scientific progress.” Now since the next sentence talks about “contemporary socio-cultural processes,” the scientific progress is in Marx’s view of societies inexorably evolving towards communism based on levels of technology. It’s not a Newton dropping his apple to discover gravity view of what is science. I want to end with another extended quote from the 2013 report because it is so telling about how important to the planners of transformation it is to create predictably guided perceptions at the level of each individual. It is why the nature of the curricula, the classroom, the teaching practices, and what the student is to be doing ALL had to change. My bolding. So we are to get deliberately created Mindlessness because of the digital learning push as Quality Education globally. What mind is left gets deliberately organized and structured to perceive relationships wherever planners believe it will be politically useful. And why again? For purposes of the need to drive action for transformative change or not to rise up in time and combat those who are acting. Oh. My. Word. No wonder the nature of knowledge had to be redefined for such a vision.